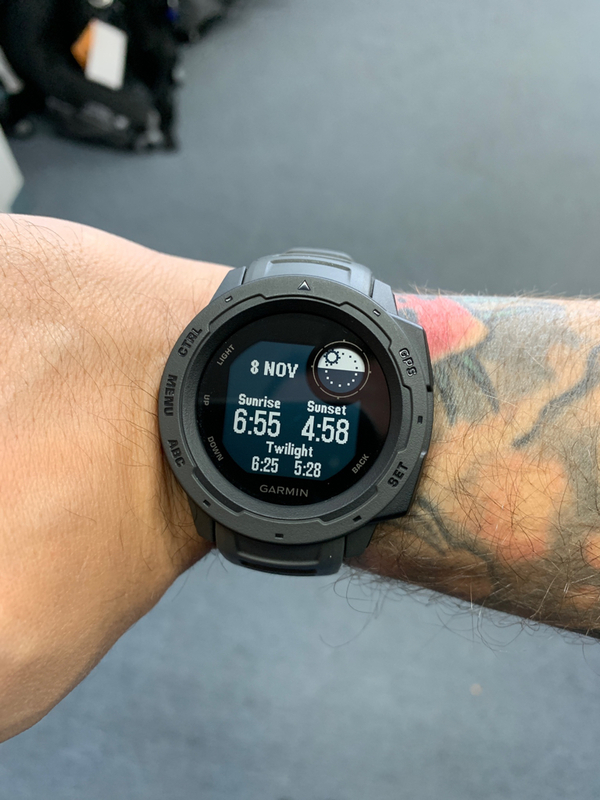 I come from Garmin Flagship the Fenix 5X Plus and I have decided to give a chance to the Outdoor watch. The price ! 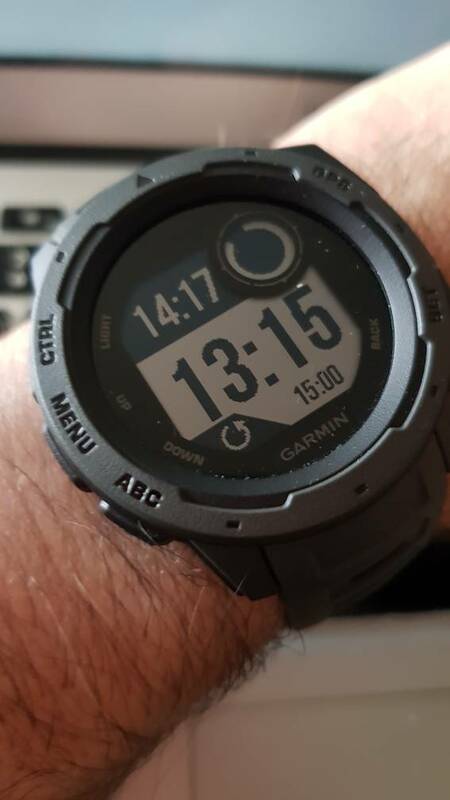 It is almost a third of my Fenix 5X Plus. The lightness ! 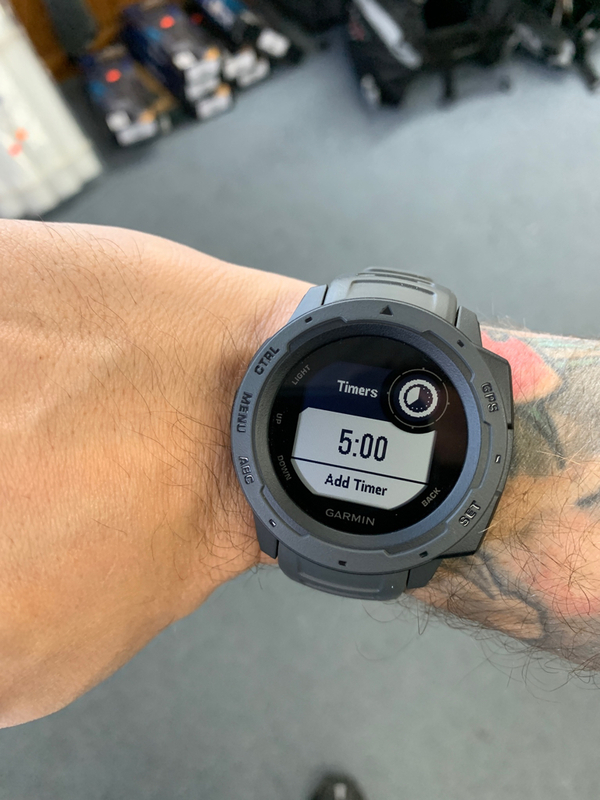 It is a watch to forget while on your wrist. The display !! No colours but so easy to read, I first thought the backlight was blocked on "on" !!! 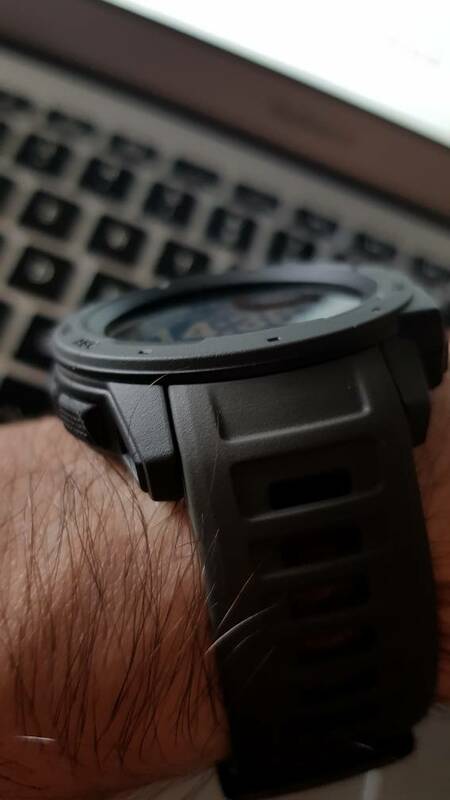 The Bezel is really protecting the glass. 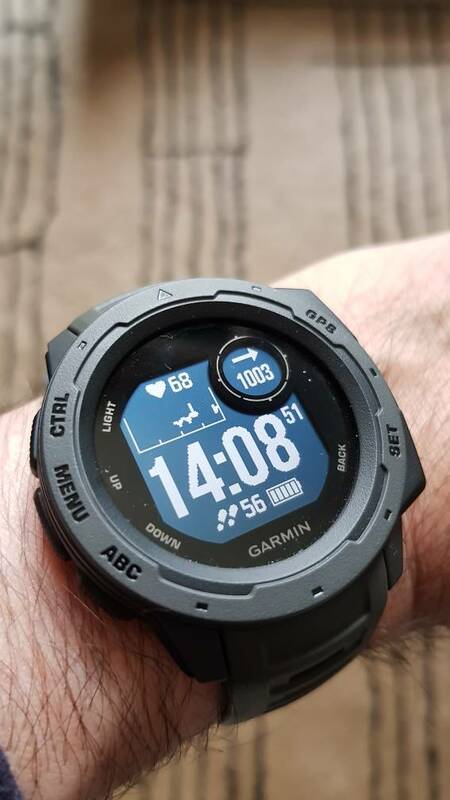 Now I was not certain about the low resolution of the screen but eventually the display is so clever it is a pleasure to use: I don't mind about the low res... The fonts used are perfectly readable and the Instinct is generous in informations. The use of the "Eye" on the upper right with animations and pertinent information is absolutely brilliant. So the ergos are very clever !! And you got already a very easy to navigate into the menus and you can manage to be at a clock or two away from your favorite functions !! 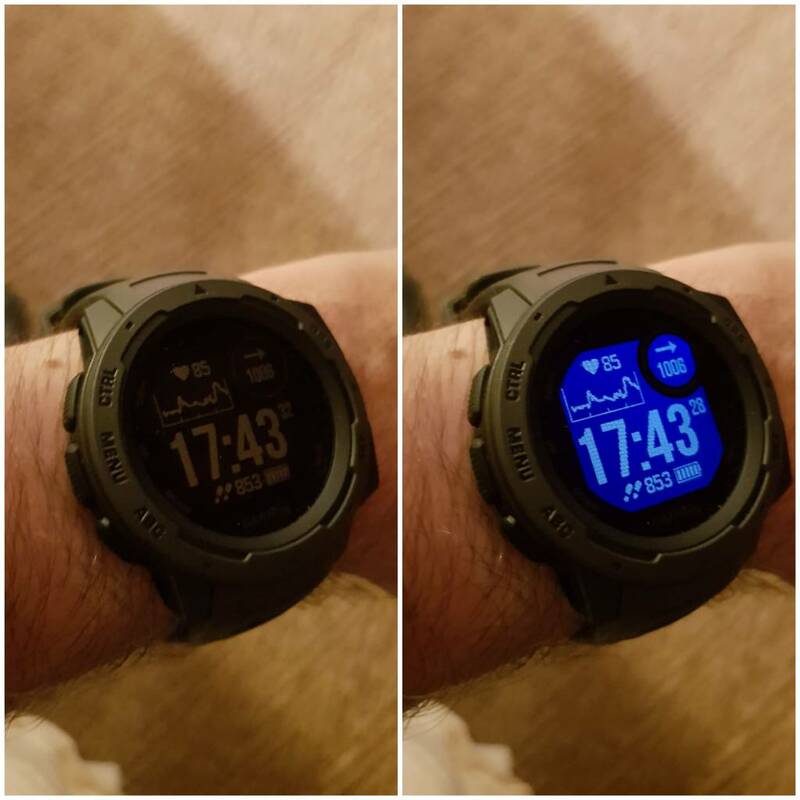 Something I really appreciate: the watch is really responsive: no delay between the screens and menus. This is a pure pleasure to use it. Black and white but gorgeous: there is something half vintage and half military in the way in this display almost like a e-ink watch. This is something to experiment in a shop to see how clear and and easy to read at any angle it is. 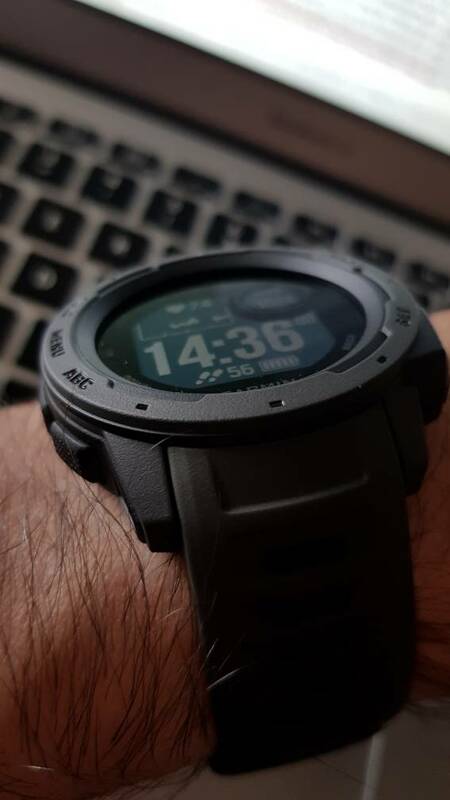 There is many more things I will re-discover on this very light (52 grams) and brilliant watch. It is fast in GPS acquiring and fast also in "Finding My Phone". I'm amazed !! Stay tuned for some update ! Last edited by Nemo_Sandman; November 7th, 2018 at 17:47. Rocket1991, Snaggletooth, Rocat and 17 others like this. That actually looks good. Can't wait for more of your observations on this watch. Thank you for the presentation! The display looks like e-ink with great contrast. 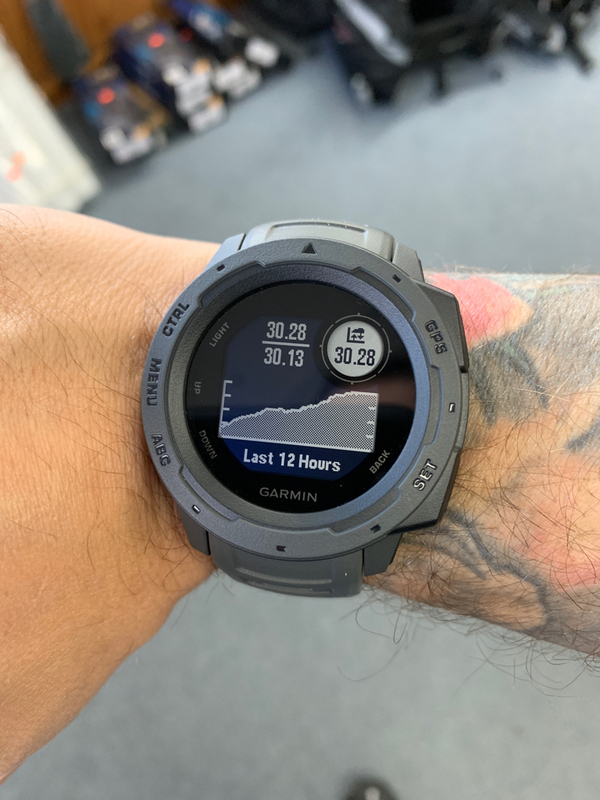 Tomorrow I'll drop by Garmin to see what's up. Nemo_Sandman, filthyj24, kcotham and 1 others like this. I just wanted to quote Kristian, a fellow forumite on the Garmin forum, as he sum it up very well also about The Eye of the Instinct. 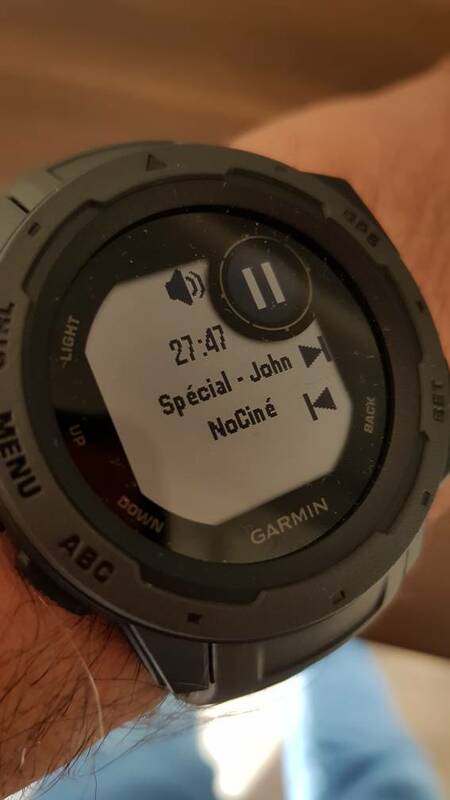 "Just wanted to express my enthusiasm about the circular display insert in the Garmin Instinct - how shall we call it, disc? eye? - the use of this disc as a separate data screen for the activies. 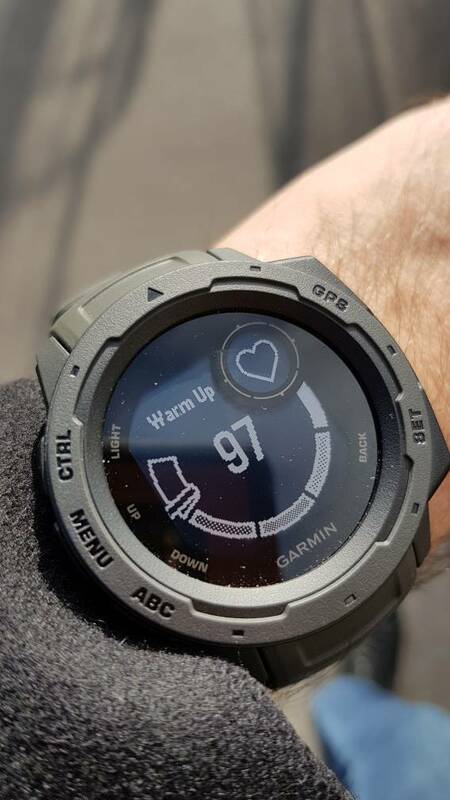 Well well done, Garmin. 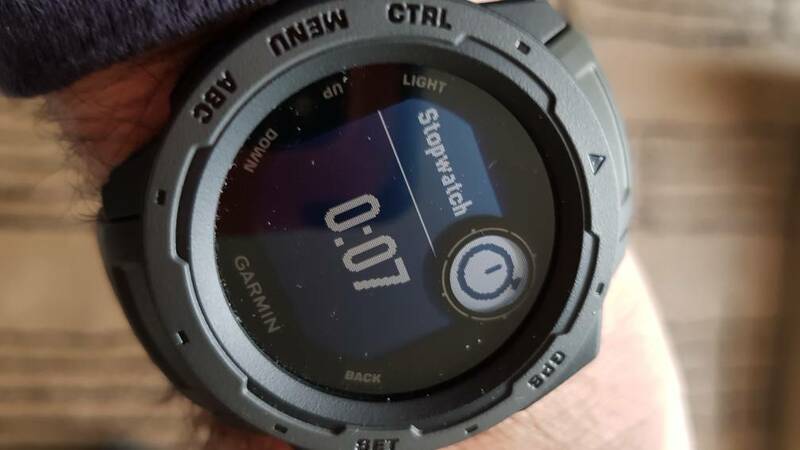 At first it seems a copy of the Casio's eyelet, but the more I use it the more it is clear that Garmin's use of this circle display insert is waaay more functional and elegant than Casio's." I'm afraid it's still some ways off. 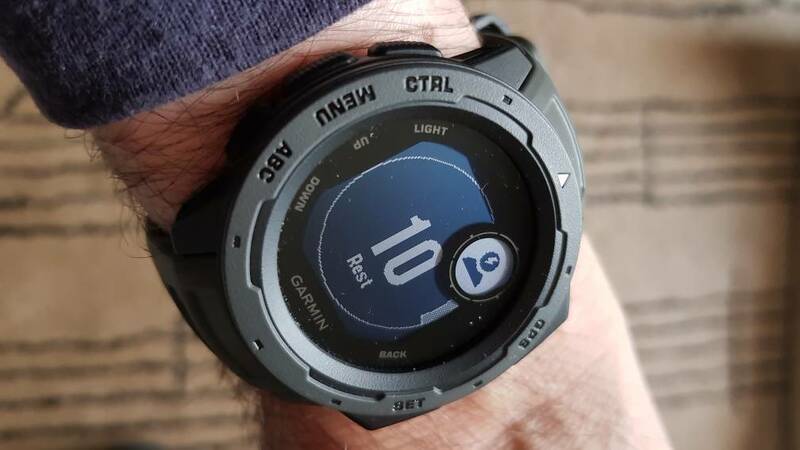 Casio knows everything there is to know about solar charging, yet even they could only produce a solar-assisted GPS watch. Also bear in mind that the RangeBeast has beastly solar panels as well. 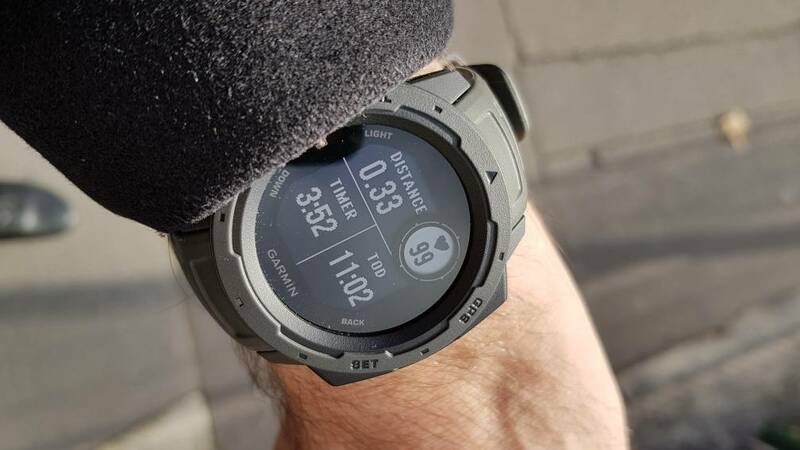 The added features of the Instinct - HR sensor - draw even more energy. The GPS fix is fast and even made in "cover" situation". I live in a top floor and the fix is made "through the roof". Also in the entry of my building without seeing the sky (urban canyon) the fix was made and iit even surprised me !! No drunkman syndrome. You can notice how accurate is it on the bridge far from urban canyons. 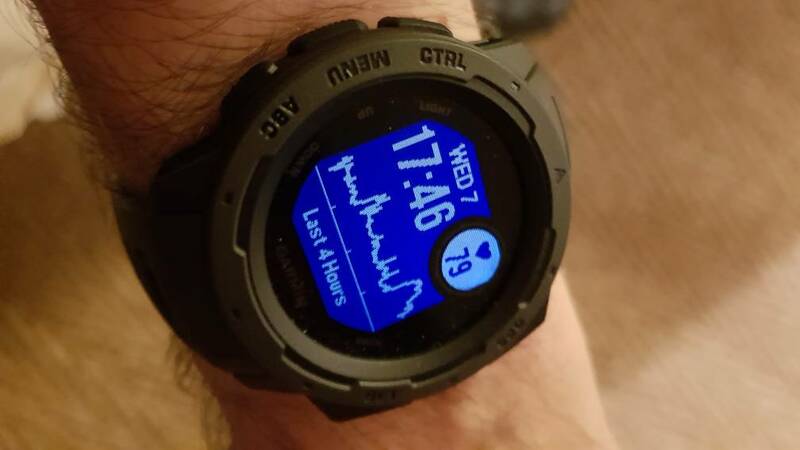 Heart monitoring. nothing new, look how the "grey" is done by playing with black pixels. this is really vintage in style and charming. 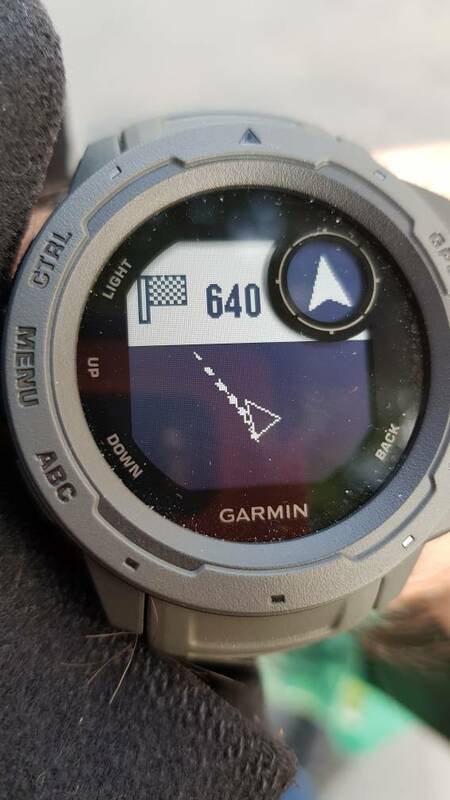 In the eye is the indicator that I use an North oriented display, this is not a compass. No cartography but it's not an issue for my use. Same for navigation as I use straight line navigation, I just need a bearing and the distance, the rest: I can manage. Another easy peazy lemon squeezy feature: music control: it works perfectly and again it is fast in respond. 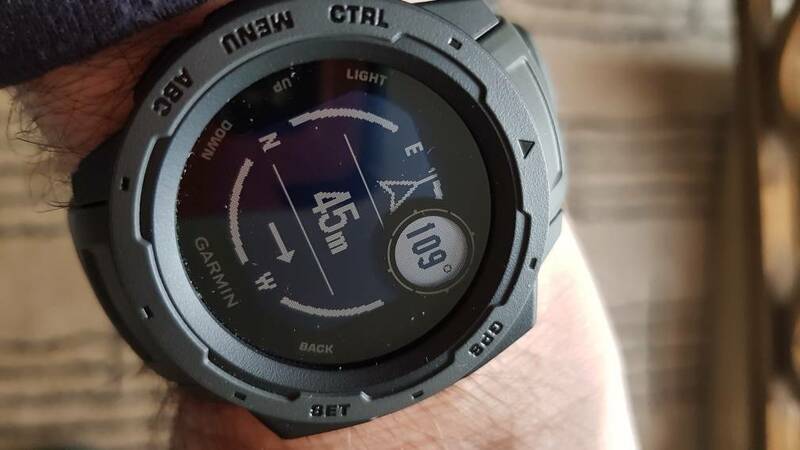 Knowing the Fenix 5X and the Fenix 5X Plus this Instinct is real pleasure to use, so fast and easy. I love the timer for example. You got the current time, the timing and the set of the timer and in the eye a graphic representation in circle ! 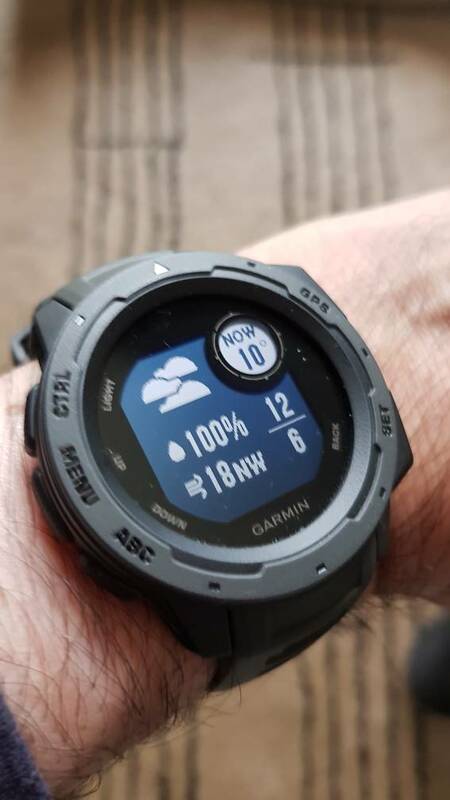 It's one of the tool I need everyday and this is so clever that Garmin has gathered alarms/stopwatch/timers together at one hot key (SET long press) also clever to regroup the ABC functions under the ABC long press button. Those "in-house" shortcuts are just the expression of the cleverness of the designers. Last edited by Nemo_Sandman; November 8th, 2018 at 12:30.
tichy, elborderas, GaryK30 and 1 others like this. 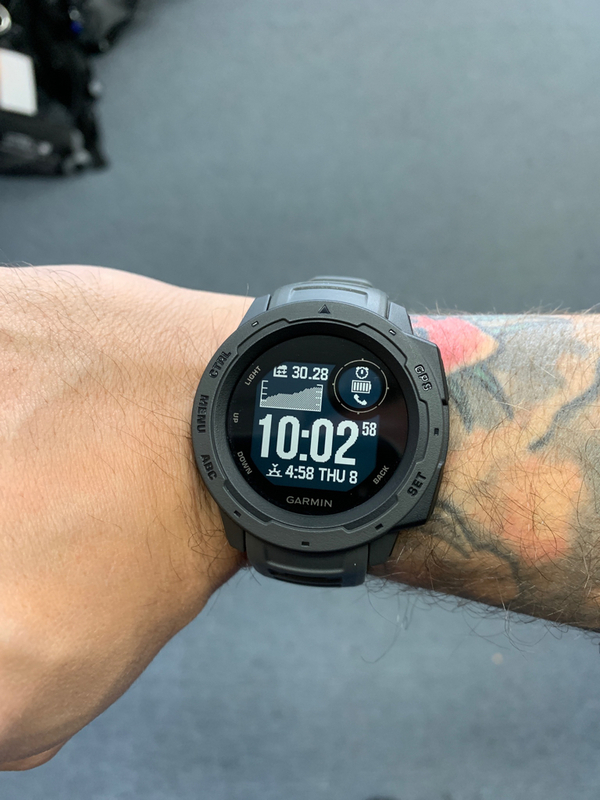 One thing that stands out to me is how FAST the GPS lock is. Indoors, it takes me 3-5 seconds. Outdoors, maybe 1-3 seconds. 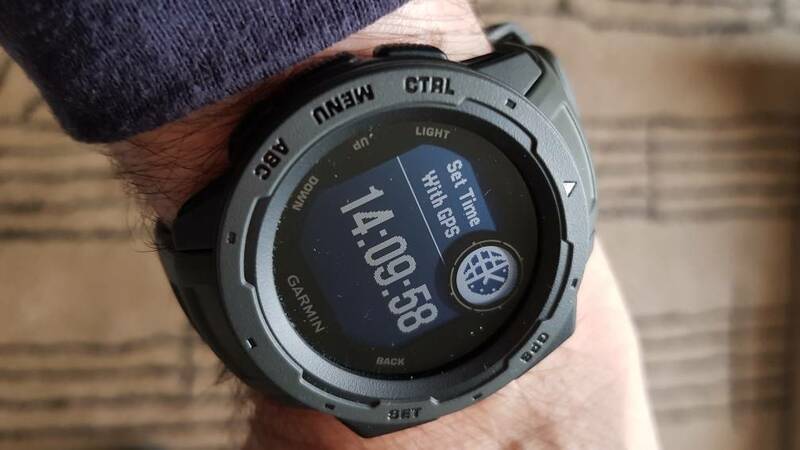 One video I watched about the GPR and the long trek he was taking, was how long it took for a GPS lock..I counted 60 seconds in the video. Not good if you lose a signal. I think the vibration is more strong with the Instinct, than the MK1. The display is very nice, even for a negative display. Last edited by Odie; November 8th, 2018 at 16:08. Nemo_Sandman, GaryK30, Miklos86 and 2 others like this. Ah! I did not know that !! This is great !! Very sharp beautiful pictures !! Thank you ! Yes this Instinct is really a new animal standing on the shoulders of various Fenix versions ! It is light and fast !! 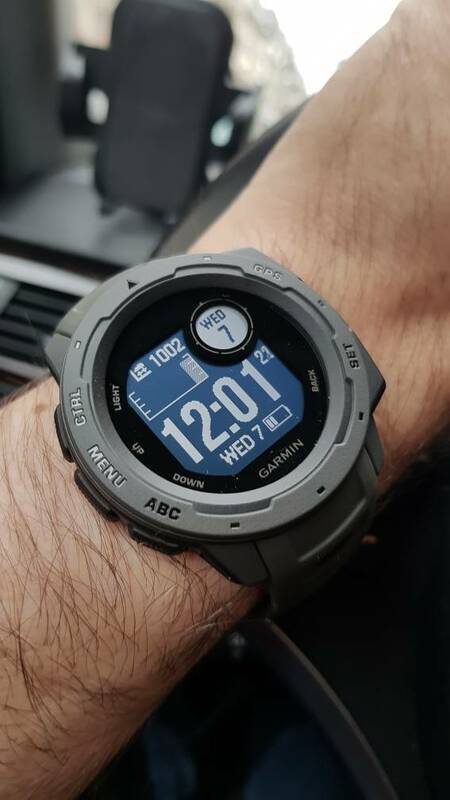 SO light and sturdy I'm not afraid to wear on the right wrist with the B5000 on the left wrist !! 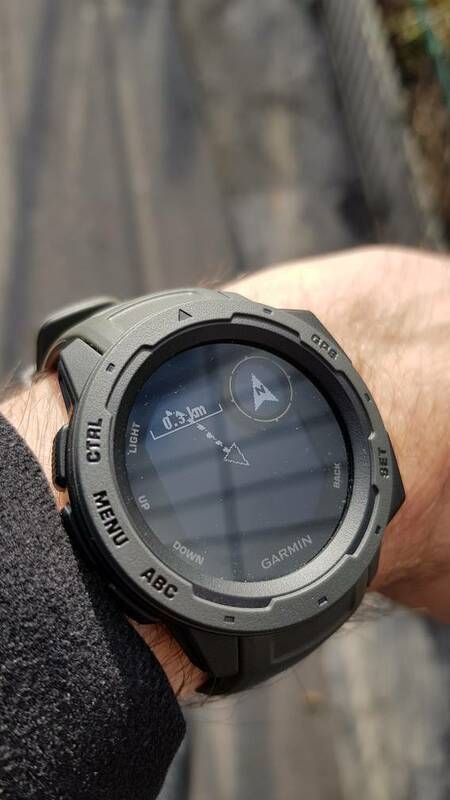 I'm looking for a way to transmit waypoint from GC or Garmin Explorer app into the Instinct if you got any hints !